We export our LPG Transfer pumps to various countries around the globe. Our pumps have been widely accepted across continents in terms of quality and performance. 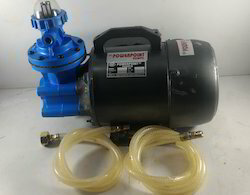 These pumps are available in AC, DC, Flameproof versions. 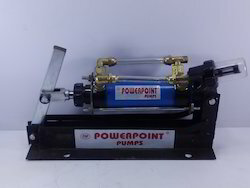 We also make these pumps in 110 volt AC current for E.U & other nations. Rotary Vane type lpg transfer pump for commercial applications.Exported successfully running in many countries. This is a portable, light and compact DC LPG Pump designed to be carried around in the car and to be used anywhere it may be needed. 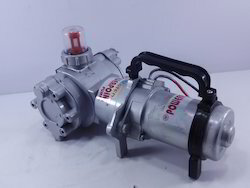 This 0.5 Hp Diaphragm LPG Pump can be connected directly to the 12V car battery to transfer any liquefied gas to your car. The total weight of the pump is 5 Kg. The pump transfers apx. 2 Kgs per minute. The pump is shipped in ready to use condition with all the required Hoses, Valves, Cables & Plugs included in the package. 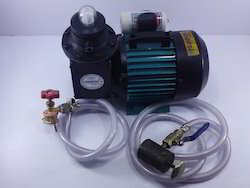 1HP lpg transfer pump for continuous duty applications. 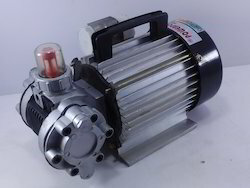 Looking for LPG Transfer Pump ?